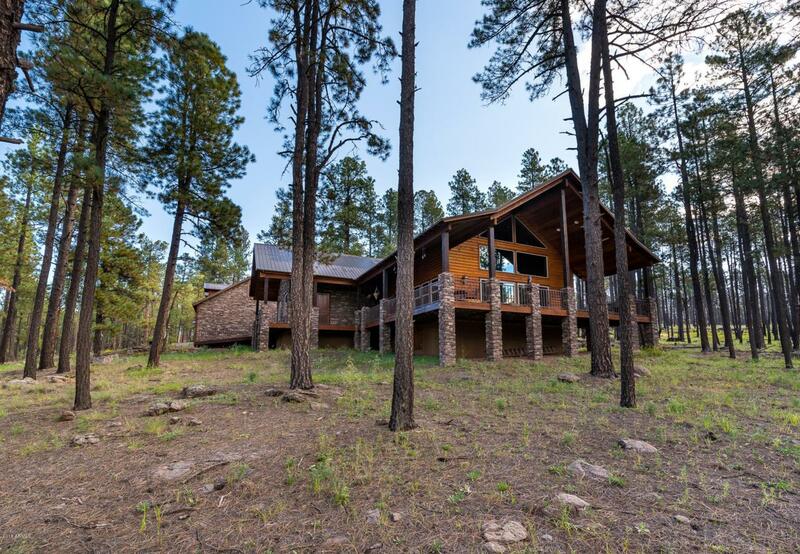 Located in the cool, 4 season high country of AZ, located just minutes from Alpine, this stunning home features 5 huge bedrooms & 5 modern creature-comfort baths in a total of 3,994 square-feet that includes 800 SF guest house. On over 5 acres, this is a hunter's paradise in prime hunting Section 27; area rich w/elk, wolves, foxes, turkeys, etc. Nestled in the magnificent White Mtns country; elevation 8,000+-feet. Close to lakes, rivers, fishing habitats. Gorgeous great room w/vaulted, wide-planked wood ceiling, soaring split-stone wall. Tall glass windows & doors open to expansive stargazing porch overlooking forest & meadowlands. Sparkling kitchen w/bronze & gold-hued granite, chef-quality gas range. King-sized loft/game room for relaxing. Enormous garage space, horseshoe pit, BBQ area. 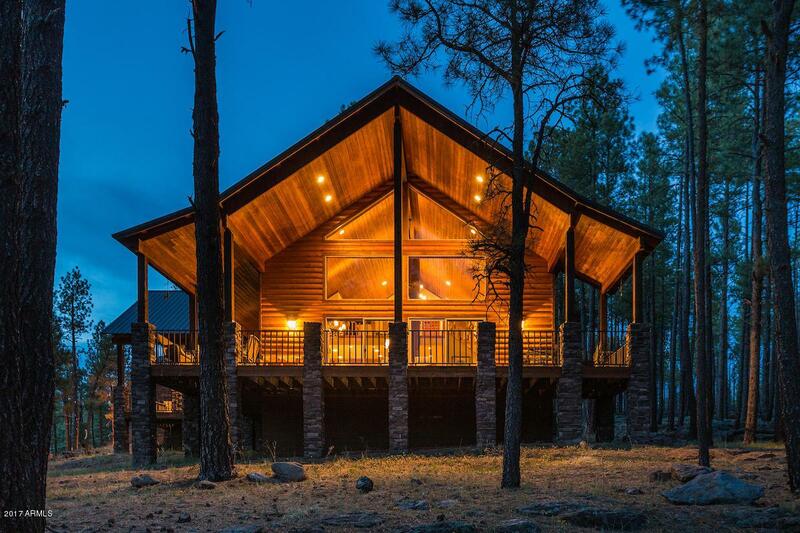 Builder Name Central Construction Co.
© 2019 Arizona Regional Multiple Listing Service, Inc. All rights reserved. All information should be verified by the recipient and none is guaranteed as accurate by ARMLS. The ARMLS logo indicates a property listed by a real estate brokerage other than Yost Realty Group at RE/MAX Casa Grande. Data last updated 2019-04-20T19:11:12.45.